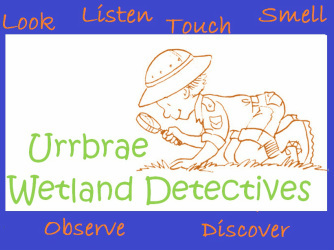 The Urrbrae Wetlands Learning Centre has produced a primary school wetland education kit, called Wetland Detectives. The package incorporates introductory activities that can be completed in the classroom, prior to your visit to the Wetlands. It also contains a range of activities, which require the students to become detectives and work scientifically to investigate some tricky wetland questions. -Who lives above the water? - Who lives under the water? 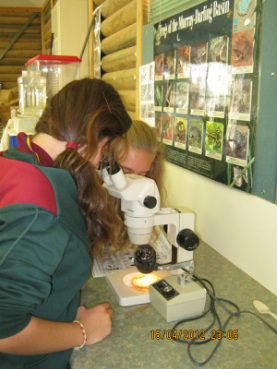 Students collect macroinvertebrates from the wetlands, then identify them using the microscopes in the learning centre. The students are able to assess the health of the wetlands according to the abundance, richness and sensitivity ratings of the macroinvertebrates they find. Students take a tour around the wetland, looking at the man-made and natural elements that help clean the water. The students take water samples from different locations around the wetlands and conduct a range of simple tests to determine whether the wetland does in fact clean the water. All activities are flexible and able to be adapted to suit individual groups according to age, time restraints and desired learning outcomes.